Just getting started on your custom engagement ring? With so many unique design options and gorgeous diamond shapes, it can be overwhelming to decide what style you love best. Our Diamond Experts have put together a comprehensive guide to setting styles and diamond shapes to help you get started on deciding what style and shape to choose for your dream engagement ring. The diamond shape you choose for your engagement ring is a choice that reflects your unique style. When it comes to a diamonds sparkle and beauty, many factors come into play such as the cut of your diamond and setting style you select, but one of the biggest factors that defines the look of your ring is the shape of your lab grown diamond. 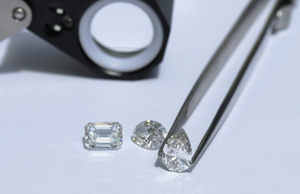 See below for Ada’s 5 most requested diamond shapes and what we love best about them.